WINNIPEG, March 15, 2018 /CNW/ – DELTA 9 CANNABIS INC. (TSXV:NINE.V – News) (“Delta 9” or the “Company”) has signed a Memorandum of Understanding to purchase up to 5,000 kilograms of cannabis from Alberta-based Sundial Growers Inc. (“Sundial”). The purchase is designed to increase Delta 9’s ability to meet the anticipated market demand following the full legalization of adult-use cannabis in Canada. 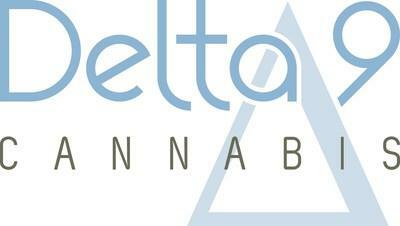 The agreement commits Sundial to supply up to 5,000 kilograms of both dried cannabis and/or cannabis derivatives “to meet or exceed” Delta 9’s market demand in the period post-legalization. Delta 9 CEO John Arbuthnot says the agreement was reached as part of the company’s commitment to supply the Manitoba market. Delta 9 and partner Canopy Growth Corporation (Canopy Growth) (TSX:WEED.TO – News) were selected in February by the Manitoba government as one of four successful bidders to a license to retail cannabis in the province. Delta 9 and Canopy Growth have committed a significant supply of cannabis product for the provincial market. Delta 9 is increasing its annual production in Manitoba to 17.5 million grams per year by the end of 2019. Delta 9 and Canopy Growth announced in December that Delta 9 had joined Canopy Growth’s CraftGrow program. The agreement provides Delta 9 with a national sales channel to supplement to the Company’s strong presence in Manitoba, says Arbuthnot. “No one can really predict what will happen in the cannabis market in the first year after legalization, but early indicators are that demand will increase dramatically, and we intend to be ready for that demand,” he said. The agreement is also beneficial for Sundial, which currently has a cultivation license but has not yet secured a license to sell from Health Canada. Sales can only take place through an already licensed producer such as Delta 9, which has the testing and quality assurance protocols in place to ensure compliance with Health Canada regulations. The current agreement is a non-binding Memorandum of Understanding designed to set out the basic working relationship between the two companies. The parties intend to formalize the Supply Agreement in the near future. Sundial currently operates an 31,000 square foot production facility in Rocky View, Alberta, and has two separate production facilities in various stages of completion and licensing. By 2020, we expect to be one of the leading cannabis companies in the country with a projected production of over 100 million grams of dry cannabis and over 32 million grams of concentrate or cannabis extract.